Some allergy-induced asthma produces problems year round, because it's triggered by substances found in the everyday living environment. Other people only deal with the symptoms at certain times of the year, if they have the outdoor type of allergies, meaning that triggers are commonly found outdoors, rather than indoors. 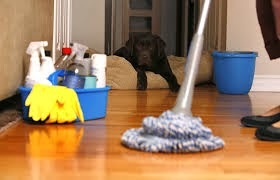 Substances that cause allergies (Inhaled Allergens): such as dust mites, pollens, molds, pet dander, and even cockroach droppings. In many people with asthma, the same substances that cause allergy symptoms can also trigger an asthma episode. These allergens may be things that you inhale, such as pollen or dust, or things that you eat, such as shellfish. It is best to avoid or limit your exposure to known allergens in order to prevent asthma symptoms. Irritants in the air: including smoke from cigarettes, wood fires, or charcoal grills. Also, strong fumes or odors like household sprays, paint, gasoline, perfumes, and scented soaps. Although people are not actually allergic to these particles, they can aggravate inflamed, sensitive airways. Today most people are aware that smoking can lead to cancer and heart disease. What you may not be aware of, though, is that smoking is also a risk factor for asthma in children, and a common trigger of asthma symptoms for all ages. It may seem obvious that people with asthma should not smoke, but they should also avoid the smoke from others' cigarettes. This "secondhand" smoke, or "passive smoking," can trigger asthma symptoms in people with the disease. Studies have shown a clear link between secondhand smoke and asthma, especially in young people. Passive smoking worsens asthma in children and teens and may cause up to 26,000 new cases of asthma each year. Food Allergies: Food allergies rarely cause asthma yet they can cause a severe life-threatening reaction. The most common foods associated with allergic symptoms are: Eggs, Cow's milk, Peanuts, Tree nuts (such as almonds, pecans, walnuts), Soy, Wheat, Fish, Shrimp and other shellfish. Symptoms of food allergy can include hives, rash, nausea, headache, vomiting, diarrhea, sneezing, and nasal congestion. Some people may experience wheezing or anaphylaxis -- a swelling of the throat that can cut off the airway. Both allergies and asthma can cause breathing problems. The severity of symptoms varies widely from mild impairment to serious. In some cases, breathing becomes significantly impaired, and the condition is life threatening. Chronic wheezing is a characteristic symptom of asthma that can be triggered or worsened by allergens. Wheezing causes an audible squeaking or whistling sound when breathing, which is often more noticeable when sleeping, under stress and after physical activity. It results from allergic irritation to the muscles and lining of the airways of the lungs causing them to constrict, swell and spasm. Excessive and chronic coughing is often the first symptom of asthma. Coughing occurs when the muscles around the airways within the lobes of the lungs tighten, twitch and spasm due to irritation of the immune system by allergens, as explained by the National, Heart, Lung and Blood Institute (NHLBI). The allergic reaction may also cause lung tissue inflammation and fluid or mucus accumulation in the lungs making it difficult to breathe and causing chronic coughing, even when waking up. Cough symptoms in asthma are usually dry, hacking coughs or a bark-like cough that worsens when there is exposure to allergens such as pollen, dust, mold or animal fur and dander. The sensation of chest is tightening or that there is a heavy object pressing down on the chest can be one of the most frightening symptoms of asthma. Allergies can trigger this symptom, leading to a panic, anxiety and an asthma attack. This occurs when the immune system overreacts to allergens, causing the lungs to become inflamed and the smooth muscle walls of the airways to tighten or spasm. This makes it difficult to breathe and creates shortness of breath. Irritation and inflammation of the lung tissue and lining of the airways can cause the mucous glands to overproduce fluid in the lungs. This fluid can fill some of the lungs bronchioles, making it difficult to inhale and exhale deeply. It also gives the sensation of "drowning on dry land" that some asthma sufferers experience. According to the NHLBI, allergies cause or worsen this by directly irritating the lungs and by causing symptoms such as a runny nose and sinus infections. Kids with asthma and allergies may also have what are known as the allergic salute, where they rub their noses upward because of itching and have allergic shiners, which are dark circles under the eyes caused by nasal congestion. These are some just the typical symptoms of allergy-induced asthma. One of the most common forms of asthma is allergy-induced asthma, in which an allergic reaction triggers airways inflammation. Physicians have several treatment options for their patients with allergy induced asthma. Injections are administered regularly, which contain small amounts of the allergen causing the allergic reaction. The purpose is for the immune system to develop a tolerance to the allergen. When this occurs, allergic reactions will decrease including allergy-induced asthma symptoms. Beta agonists are medications that work to relax the airways, thus making it easier to breathe, the Asthma and Allergy Foundation of American explains. These medications are often inhaled in order to act directly on the lungs, though they can also be taken as a tablet or as a syrup. Short-acting forms of these medications, such as albuterol and levalbuterol work quickly in order to provide rapid relief. Beta agonists can also come in longer-acting forms to help prevent asthma attacks. Corticosteroids are medications which help block the body's inflammatory response, the Mayo Clinic notes. Because allergy-induced asthma is mediated by massive inflammation caused by an overactive immune system, blocking inflammation can have a powerful effect on patients with asthma. Because corticosteroids can cause significant side effects, they are commonly inhaled for the treatment of asthma in order to minimize these adverse effects. 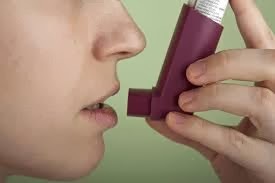 Inhaled corticosteroids, such as fluticasone, beclomethasone and budesonide are used for long-term treatment of asthma symptoms, not as an emergency treatment for asthma attacks. Severe asthma attacks can, however, be treated with oral or intravenous corticosteroids. Ipratropium is another inhaled medication which works by relaxing the airways. Unlike the beta-agonists, which work by promoting relaxation of muscles in the airways, ipratropium instead blocks signals that cause these same muscles to constrict. The net effect, however, is the same. This medication works quickly and is designed to be used to treat the symptoms of an acute asthma attack brought on by allergies or other triggers. Ipratropium is often combined with beta-agonists, such as albuterol, to relax the airways using two different mechanisms. Theophylline is an asthma medication that comes as a pill to be taken once daily. It helps relax the muscles around the airways, reducing chronic asthma symptoms. Theophylline comes in many different formulations, PubMed Health explains, and is typically taken every 6, 8, 12 or 24 hours, depending on the type of tablet or syrup. Because theophylline is a medication prescribed for long-term asthma control, patients should take it even if they are not experiencing any asthamatic symptoms. Leukotriene modifiers are another common treatment for allergy-induced asthma. These medications interfere with a class of immune signals, known as leukotrienes, that can lead to asthma. Examples of these medications include montelukast and zileuton. Prevent for Allergy Induced Asthma: What Do I Do If I Have Allergies and Asthma? If you have allergies and asthma, avoid the substance you are allergic to. Here are some tips to help you avoid some of the most common allergens and prevent asthma attack symptoms. Encase pillows, mattresses, and box springs with allergen-proof, zippered covers. Non-carpeted flooring is best. If you cannot get rid of your carpeting, vacuum often with an HEPA filter. Wear a mask while vacuuming. If your child has asthma, do not vacuum while he or she is in the room. Products that eliminate dust mites from carpeting (such as Acarosan) can be purchased. 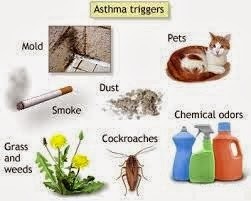 Your asthma care provider can give you information about these products. Avoid curtains and drapes. Use plain window shades instead of mini-blinds. Washable curtains should be washed in hot water every two to four weeks. Cover air ducts with filters. Change these when soiled. Keep indoor humidity low (below 55%). Use a dehumidifier if needed.